Nancy Pelosi is spending millions of tax dollars traveling around the world to push her left-wing political agenda. And she is using American military aircraft to do it. She treats the U.S. Airforce like it’s her own personal airline -- making numerous trips between San Francisco and Andrews Air Force Base. And many of these lavish junkets include personal friends and family members. 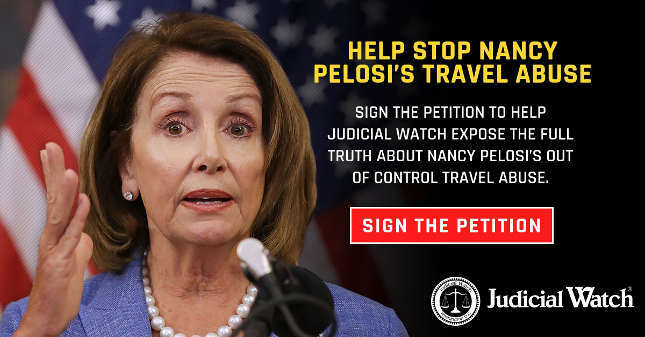 Sign the petition now to help Judicial Watch expose the full truth about Nancy Pelosi’s out of control travel abuse of tax payer expense. In just two years Speaker Pelosi spent over $100,000 on lavish in-flight expenses that include gourmet food as well as Johnny Walker scotch, Grey Goose vodka, E&J brandy, Bailey’s Irish Crème, Maker’s Mark whiskey, Courvoisier cognac, Bacardi Light rum, Jim Beam whiskey, Beefeater gin, Dewar’s scotch, Bombay Sapphire gin…Jack Daniels whiskey, Corona beer and several bottles of wine. Nancy Pelosi's abuse of tax payer expenses must be stopped. 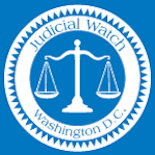 Please help Judicial Watch expose this abuse and hold Speaker Pelosi accountable for her lavish over-spending.